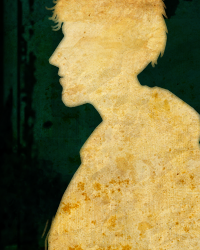 I was going to post this in the W & G forums, but they're not very active, so anyone interested in this would probably have missed it had they not known about it already. Tomorrow on BBC One, Wallace & Gromit will feature in a new show with classical music, and there will be some new footage, apparently. It looks quite interesting. The broadcast will be followed by The Curse of the Were-Rabbit, in case anyone hasn't seen that movie yet. We now return you to your regularly scheduled programme. Yeh! I'll see if I can catch it. I don't know. I might watch The curse of the were-rabbit but i watched 1 episode of World of inventions and was very bored at half way in. It sounds like something along the lines of that. oh my god this seems so incredibly beyond ignorant. I've been looking forward to this for some time; one of my favorite pieces of WaG has been the music, and it'll be nice to hear it again, newly performed. 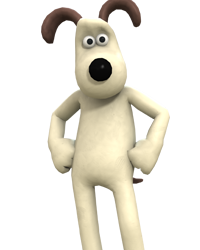 I believe Wallace and Gromit'll have, at the most, five minutes or so of new material, just one-two joke sketches in between certain arrangements. No it's not the music of Wallace & Gromit because i love W&G'S music but it's ''Classical Music'' Which i might watch to see if it's like World of Inventions. It's nothing to do with me hating W&G'S music because i love their music. But this seems like a show not showcasing the music of Wallace & Gromit and it just being another version of World of inventions only about music. I will give it a chance and if i miss it tomorrow i'll go and watch it in the BBC iplayer but i'm worried it will turn out into another World of Invention which bored me after just watching about half way through episode 1. I think the problem was that there was too little Wallace & Gromit in it. Now it may sound like i'm judging this too early but again i will watch it. I didn't say it will be crap. I said i don't know. I will try it and see if it's better than World of inventions but it may be that after seeing how boring World of inventions was and while every other Wallace & Gromit cartoon/movie/PS2 games & Grand Adventures entertained me greatly (With W&G Grand Adventures being one of my favorite Telltale Games). Again i'm not saying it's bad but after World of inventions i'm going in with low hopes. 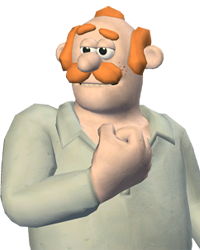 Ben Whitehead (of "Grand Adventures" fame) voiced Wallace, incidentally. I thought for sure that was Peter Sallis! I will give it a chance and if i miss it tomorrow i'll go and watch it in the BBC iplayer but i'm worried it will turn out into another World of Invention which bored me after just watching about half way through episode 1. I think the problem was that there was too little Wallace & Gromit in it. You needn't be worried. It was quite entertaining, funny, and there's plenty of Wallace & Gromit in it. The musical segments are framed by newly animated footage of Wallace & Gromit putting on the finishing touches of a mechanized piano that will play a composition that Wallace made called "A Piano Concerto in Ee, Lad" (the new footage is quite funny as well ). And, on top of that, the classical music played synced to clips from the Wallace & Gromit shorts and the Curse of the Were-Rabbit film. There's also several orchestral interpretations of Julian Nott's Wallace & Gromit theme. I thought he was good in Wallace & Gromit's Grand Adventures, but he's definitely got the voice down even better since then (he always had the inflections right, but the pitch wasn't quite right. It's pretty much spot on now though). He was also probably the voice in A Jubilee Bunt-a-thon, but since that short didn't have credits, it's impossible to know for certain (it sure sounds like him though). Yeah, it was quite fun, also seeing the old clips accompanied by the music, it was all done very well, I thought. A great way for children young and old to get introduced to classical music. That's weird. I tried Iplayer on my PS3 last night and this morning. Whatever happened to the end bit on the theme music anyway? It used to be in the original trilogy! This is back as a full touring show now (it premiered yesterday in Melbourne). The full list of touring locations is available here. I really enjoyed this when I watched it on the iPlayer. I'd love to watch it live.